Practise using quotes and citations! 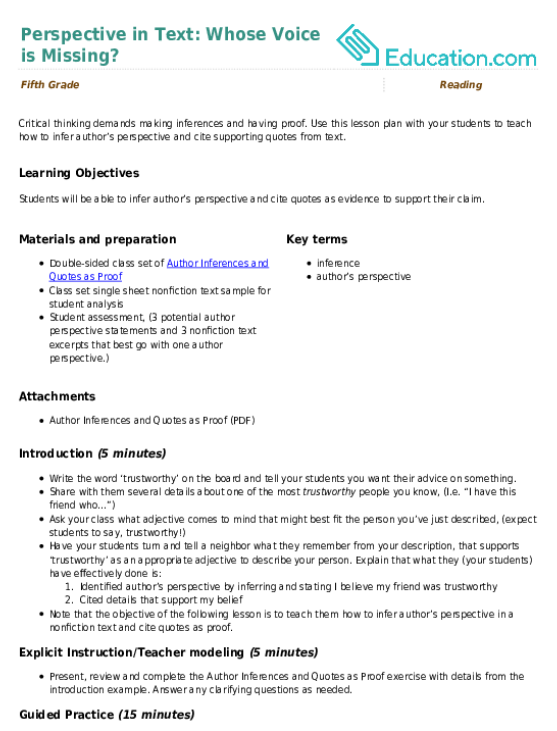 In this exercise, your students will use a variety of sentence frames to cite quotes from nonfiction texts. This language arts practise gives students a chance to use evidence in their writing to help make conclusions. Use this glossary with the EL Support Lesson: Quotes with Introductory Phrases. 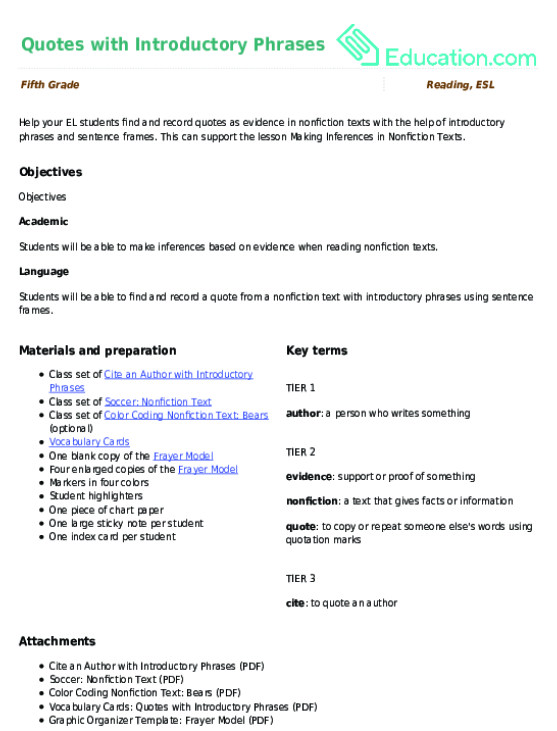 Help your EL students find and record quotes as evidence in nonfiction texts with the help of introductory phrases and sentence frames. Use these vocabulary cards with the EL Support Lesson: Quotes with Introductory Phrases. In this worksheet, kids will learn about the author's perspective, an essential component of nonfiction comprehension. Perspective in Text: Whose Voice is Missing? Use this lesson plan with your students to teach how to infer author’s perspective and cite supporting quotes from text. 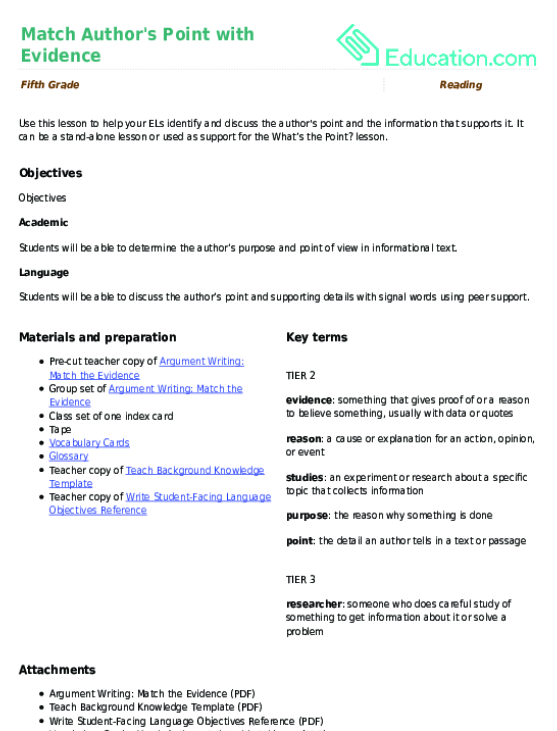 Use this glossary with the EL Support Lesson: Match Author's Point with Evidence. 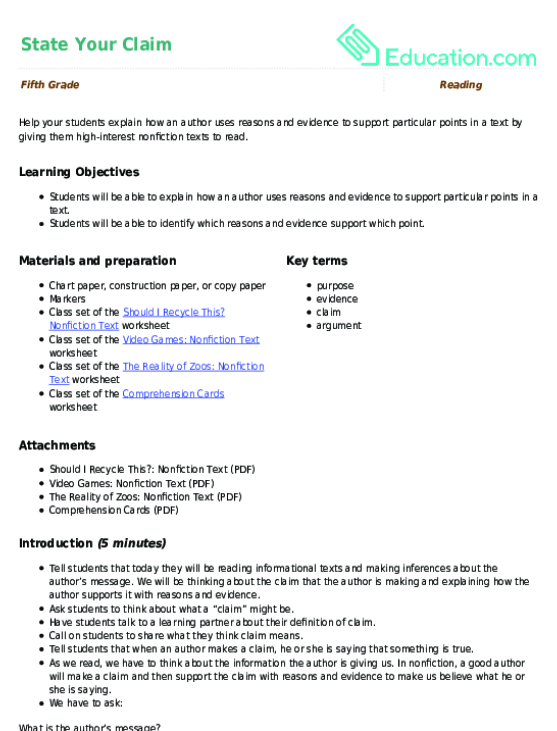 Use these vocabulary cards with the EL Support Lesson: Match Author's Point with Evidence. Help your students explain how an author uses reasons and evidence to support particular points in a text by giving them high-interest nonfiction texts to read. Use this high-interest text about sports to explore what point the author is trying to make.